Apple on its main iPhone 5 event held on 12th September, 2012 has announced its next generation iPod Media Players devices with some hardware and software upgrades and named its 5th Generation iPod Touch and 7th Generation iPod Nano with some advanced features and specs. Apple has introduced a revamp version of iPod Media Players with big screens and redesigned models with colorful outfit. 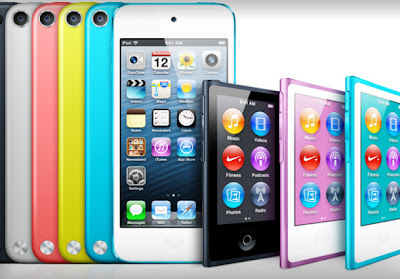 The Apple iPod Nano gets the biggest change as compare to its previous small and square model with a video support and a taller version with a 2.5 inch video screen. 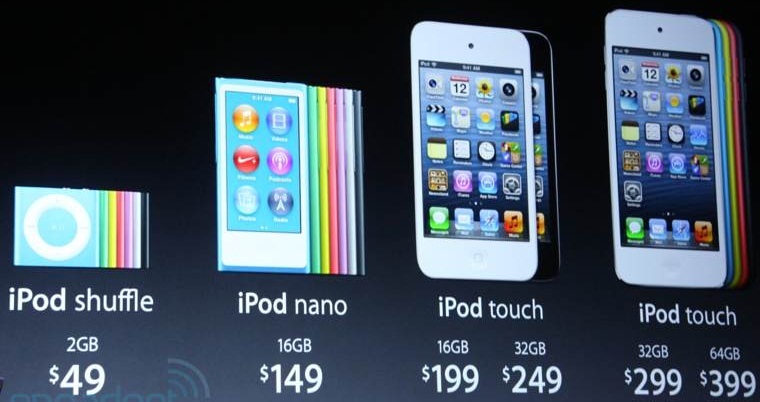 The all new iPod Nano is almost 40 percent thinner than the its previous sixth generation iPod Nano. It is even much thinner as compare to iPhone 5 and has only 5.4mm thickness. It can not only play music and video (in widescreen) but it also has an FM tuner, Bluetooth wireless and more, the amazing thing is that it even got a small home button. 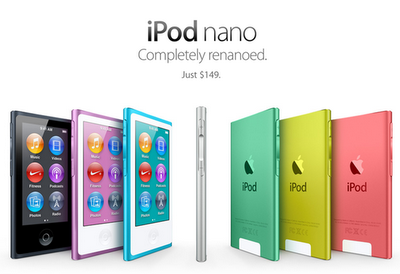 iPod Nano comes in eight colorful models. Apple iPod Nano has play, pause and even the volume controllers on the sides of the iPod Nano device. Users can even browse the photos and videos on 7th Generation of iPod Nano and it also has the smaller dock same as that of iPhone 5, it has also get the ability of Multi-touch and tasking. Apple iPod Nano will be shipped with the all new Apple "EarPods" (the most advanced audio media device with ease of comfort and streaming). On the other side, Apple iPod Touch is the 5th Generation iPod device having the same display screen size of 4.0 inch Retina Display like in iPhone 5 which makes better gaming experience and watching movies but it’s just 6.1 mm thick, making it the thinnest version of the iPod Touch of its kind. 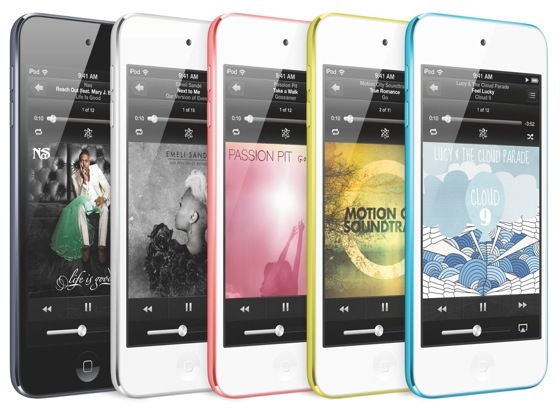 iPod Touch has a faster A5 processor and can access 175,000 iOS apps. It also supports 5 megapixel camera with support for 1080ps video, along with Bluetooth 4.0 support. The iPod Touch will also come in various different colors and outfits. 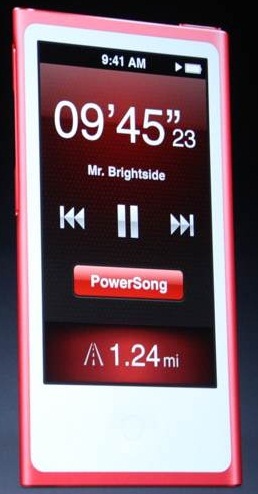 iPod Touch has improved Battery life, just like the new iPhone has 8 hours of Video playback time. 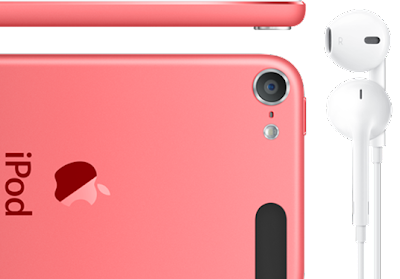 The 5th Generation of iPod Touch will also integrated with most advanced mobile operating system iOS 6 pre-installed to take full advantage of the hardware it has to offer and it has also get Siri feature, the virtual assistant which we all love and have fun talking to like in iPhone 4S and iPhone 5. Apple iPod Touch will be shipped with the all new Apple "EarPods" (the most advanced audio media device with ease of comfort and streaming). There is good news for Apple iPod Shuffle users that iPod Shuffle will also get new colors and outfits to match those available for the new iPod Nanos and iPod Touch devices but there will be no other hardware and software changes at all. 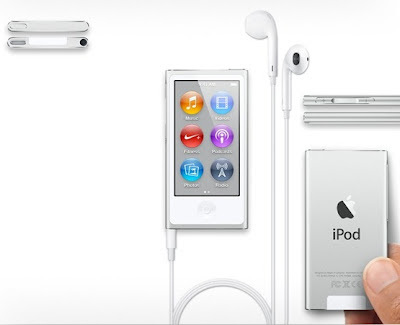 The all new Apple iPod Nano 7th Gen. will be publicly available worldwide in October, 2012 with the price tag of just $149 with the storage capacity of 16GB. The price tag of old version of iPod Shuffle with brand new colors and outfits will be cost just $49 with the storage capacity of 2GB. The all new Apple iPod Touch 5th Gen. will be publicly available worldwide in October, 2012 with the price tag of just $299 with the storage capacity of 32GB and the price tag of just $399 with the storage capacity of 64GB and the older version of iPod Touch will still be sold with the 16GB storage selling for $199 and the 32GB storage for $249 only.